This is hard for me to do, but I have a confession to make. For those of you that know me, this will be hard to believe… but it’s true. It all started when I hung up the bird feeders. Each day I would enjoy enjoy watching the birds chomp away at seeds at my feeder and marvel in their beauty. I would call out to Scott or the girls when I would spot a species that had never visited our home before. Then one day, these large, disruptive, black birds showed up and scared all the pretty little birds away. We’ve always called them Starlings, but in reality, we should just call them bullies. Every day I would go outside and shoo them away. Then they would come back. Then one day, I hit my limit. Remember the pink Daisy BB gun we got for the girls back in 2012? Well, it was handy so I decided that if I grazed one, they would know not to come back. Well… to make a long story short, my aim wasn’t as good as it should have been and I didn’t graze it. I nailed it. It literally dropped dead off the feeder and onto the ground. I was heartbroken. Scott, on the other hand, about died laughing and continues to remind me that I’m a killer. 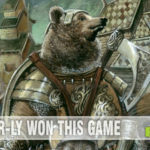 Then last year at Geekway, Scott spotted artwork for a new game at Fireside Games‘ booth. The game was Grackles and after they gave him an explanation of the game, he proceeded to give them a Starling story they wouldn’t soon forget. 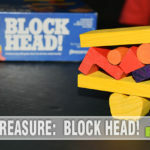 Needless to say, we now own a copy of the game themed for another version of these annoying birds that are often found on high wires in Southwestern parts of the United States. 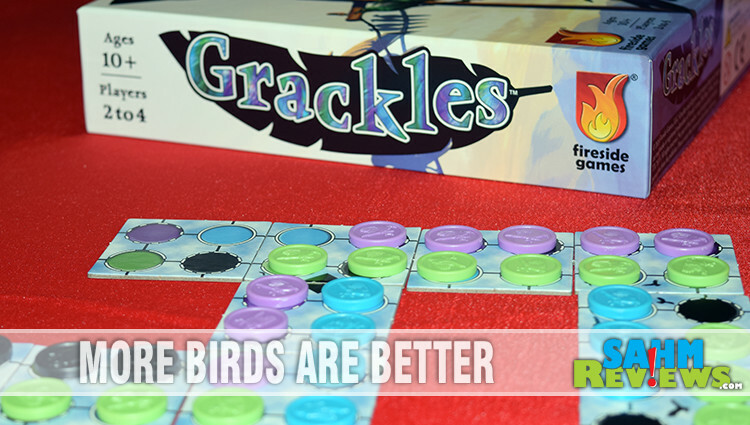 In Grackles, your goal is to connect points and create wires for your birds to hang out. If you’re familiar with the tactics of Othello, you’re flying in the right direction. 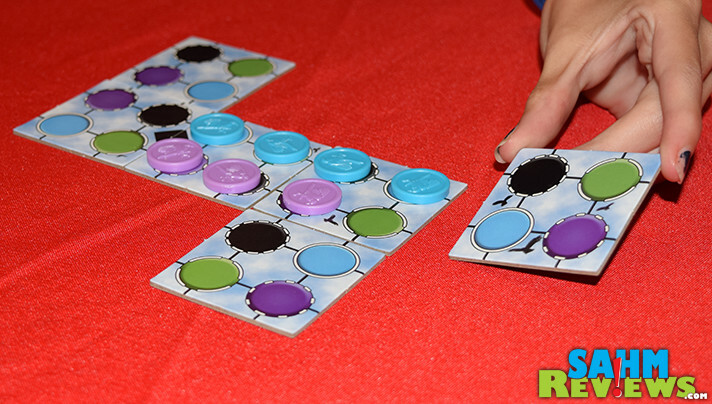 To begin, the two starting tiles (marked with a triangle) are placed in the center of the table and the remaining tiles are shuffled and placed near the play area to form a draw stack. 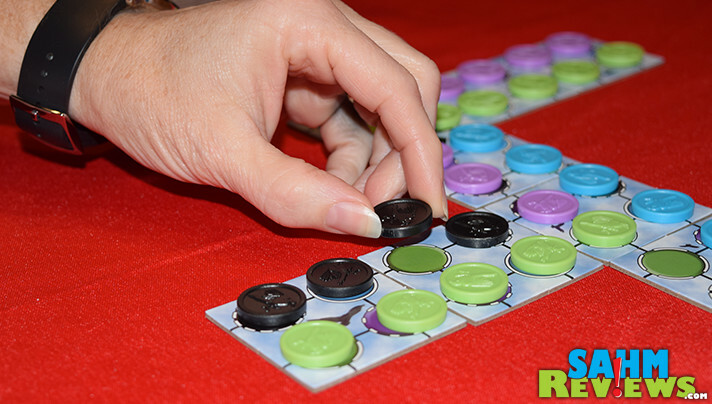 Each player selects a color, takes all the birds of their color, grabs a player aid and five Rotate tokens in their color. On your turn, you may take one of four actions. Draw and place a tile, place birds to connect two unoccupied spots to create a line of birds, extend an existing line or rotate an empty square. Drawing and placing a tile is exactly as described; you draw one, rotate what direction you want to place it then put it next to an existing tile as you work toward a 5×5 grid. If you don’t see a move that you like, you may pay a Rotate token and (duh) rotate an existing tile that doesn’t have any lines crossing it yet. You only have five Rotate tokens so use them wisely. 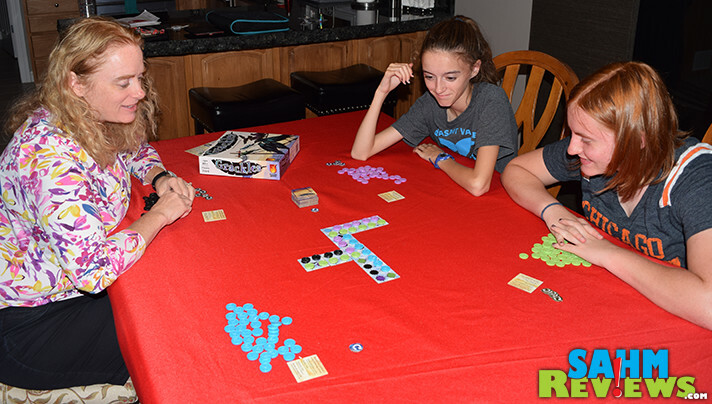 This may seem like an awesome idea, but keep in mind you’re giving up a turn in order to do it and there’s no guarantee that your plan will still be in place when your turn rolls around again. If you see an opportunity to drop a line and give your birds a place to hang out, then connect two unoccupied spots of your color to anchor the line then drop your bird tokens on those spaces and all the ones in-between. You may also extend a wire by creating a new anchor at the end of an existing line. Want to branch off from your wire? Nope. That’s now how it works in real life so that’s not an option in Grackles. Each line needs to have clear anchors on either end. The goal is to have the most birds on wires when tiles run out and there are no further actions available but it isn’t as easy as it sounds. (I don’t know about you, but I’m picturing “Birds on a Wire”, that early Pixar short,) While I previously compared Grackles to Othello, the idea of anchoring the ends of the lines and grabbing space between them is about the extent of the comparison. You’ll need to plan well; you can’t lay lines across each other. In other words, if there’s already a wire with birds on it, you can’t intersect it nor can you rotate it or scare the birds away. 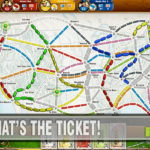 Once all 25 tiles have been placed into the grid, play continues until there isn’t an available action for a player to take. The player with the most birds hanging out on telephone wires wins. 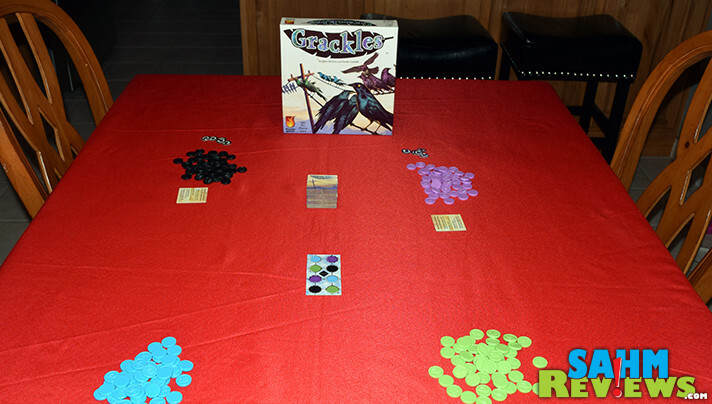 Unlike many abstract strategy games, up to four people can play Grackles! The more people, the more chaos. Someone can take an action that secures a move for another person and that can get frustrating. It also makes for a lot of laughs and suggestions on how you should (or shouldn’t) take your turn. 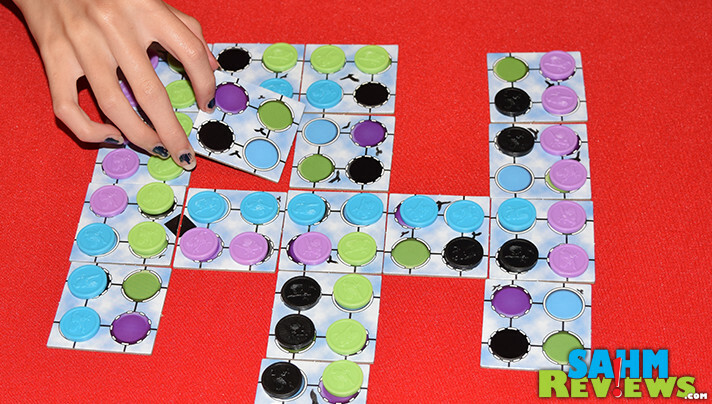 Who knew an abstract strategy game could get so combative?! If this game will fly in your nest, flock to Amazon. 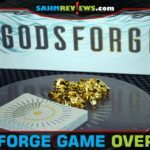 I’ll egg you on to visit their website or follow Fireside Games on Facebook and Twitter to catch chirps of upcoming games and news. Oh, and you won’t even need a pink BB gun for this one. Before you fly away, enter to win a copy of Grackles and remember to land back here daily for additional entry options to increase your chance of winning. The robin, woodpeckers, sparrows, blue herring, cardinals, blue jays, crows, ravens, hawks, sand pipers, eagles, etc- there are so many. Cardinals are the state bird…. Flickers are frequent visitor to my backyard as well as jays and hummingbirds. Also there are ospreys, herons and eagles nearby. I live in Sarasota, FL and we have pelicans which I believe are native to our state. The mocking bird is the state bird. I like this game because I ever an everlasting test of wills with the grackles each spring when they start cleaning out our feeders also. We see Great Blue Herons and Green Herons all the time. This game looks fun. I like the simplicity in its visuals. Can’t wait to try it. I’m not sure if they are native here but I see a lot of Bluebirds and Red Robins!! We have cardinals and bluejays.